Could food really be our ally in burning calories? To the majority of people, that just doesn’t sound possible. Eating to lose weight? Strangely enough, it is indeed true. There are many foods out there that aren’t only healthy for you, but also aid in weight loss simply by consuming them. Just by eating fruit and vegetables you will notice a huge weight change. The reason for this is because fruit and vegetables are low in calories and high in volume. 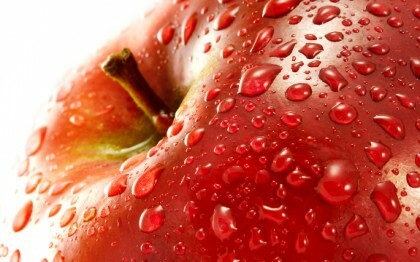 You will become full faster, and all that fullness will be made up of healthy foods containing vitamins and nutrients. Since it is so easy to just eat fruit that burn calories or vegetables that burn calories for weight loss, why not start immediately? Below is a list of 17 fruit that burn calories and subsequently unwanted fat simply by eating them. These nutritional powerhouses will not only aid you in your weight loss mission, but in your overall quest for optimum health. Don’t let yourself miss this information; check out the list below. It is also widely unknown that people are addicted to processed foods and sugar. By shifting your diet so you are consuming an increased amount of raw foods derived from a high quality organic source, you will kick the sugar habit and see a major difference in your body. Once the point is finally reached when there is little desire for the foods you’re so used to eating, everything becomes much easier. Add these to your dietary regimentation, or snack on them in-between meals. The ultimate weapon against weight gain is proper nutrition, and these 17 fruit can be a great asset in not only preventing weight gain, but also in hastening weight loss. Remember, there are many other fruit that burn calories not listed in the 17 mentioned. Even if you are looking to eat these fruit solely for the purpose of losing weight, you will be pleased to find out that overall health boosts as well. No luck yet then, Tone? in your articles. I will bookmark your weblog and check again here regularly. How often should you take this fruits,? Also give me other types of fruits that can do this from the region that i come from. I am a kenyan staying in Nairobi. Why didn't apples make the list?